Happy June, my dear food lovers! 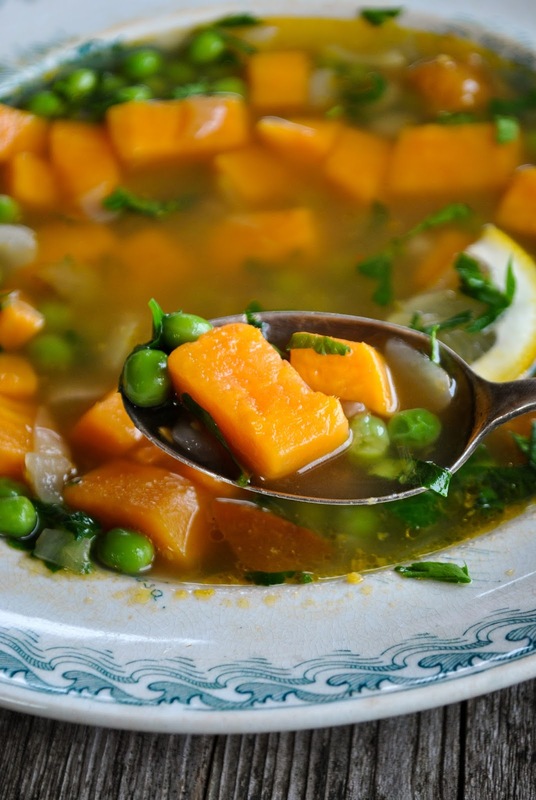 If the mosquitoes don't eat us alive, I urge you to make this wonderfully comforting and colorful soup. Really simple ingredients but rich in taste. Just the way I like it! 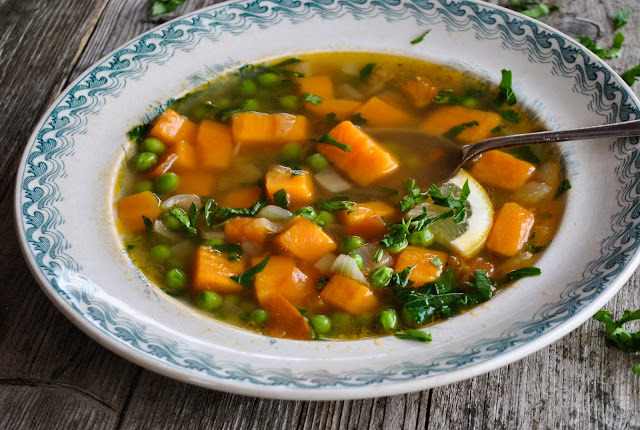 This time I wanted to use sweet potatoes instead of the regular ones and added green peas, incredibly aromatic lemon and tomatoes for balancing the sweetness. 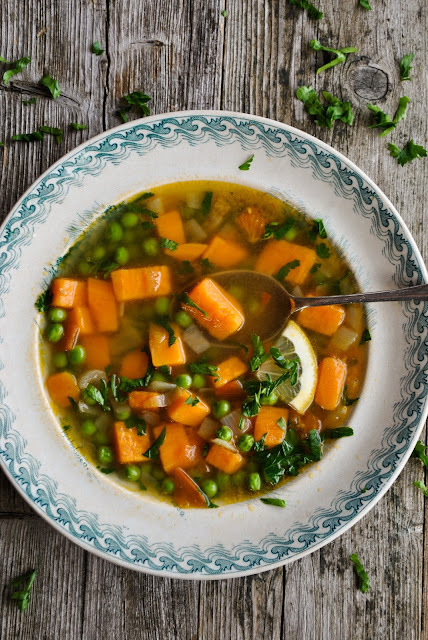 This soup is perfect when served with loads of fresh herbs. I also recommend to check out these great vegan barbecue recipes and bake this deliciously fluffy rhubarb cake! Heat up a thick-bottomed pot. Add oil and thinly chopped onion. Cook for a couple of minutes. Add chopped garlic, sweet potato cubes and bay leaves. Cook for a minute or two. Add boiling water, cover the pot with a lid and let it boil on a medium heat for 7 - 10 minutes. Add grated lemon zest, salt, pepper, green peas and chopped tomato. Boil for another 5 minutes. If desired, serve with fresh herbs.